You are here: Home > On the Road > To buy or to build? With so many options and customisable additions available, deciding whether to build or buy your own campervan is far from a straightforward decision. Here are three pros and cons of building your own campervan. 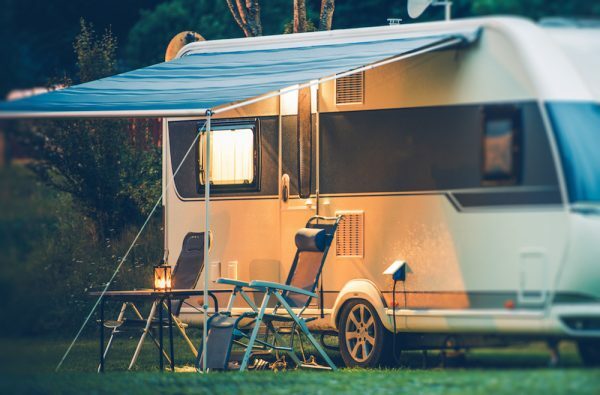 Features: Depending on your travelling habits and the size of your crew, some features of prefabricated campervans may be of little use to you. If you’d prefer space for a piano rather than a sofa, or if you need room to house three dogs instead of three kids, you can design your van around this! Savings: For many, the up-front cost of a new campervan is intimidating to say the least, but savings are another benefit of building your own campervan, especially when it’s fit out in stages. Even with a narrow budget, you can create a surprisingly personalised and practical home, narrowing down the most essential items rather than paying for features you don’t need. Environmental benefits: Refitting a van from scratch also gives you an opportunity to incorporate many environmentally friendly options – like solar panels and eco-friendly speakers. Time and motivation: It would be unrealistic to suppose that there aren’t difficulties that come with building your own campervan. Even if you’re well prepared with a long holiday and all the motivation in the world, building your own campervan can take months or years. Trying out prototype additions of shelves and accessories on weekend trips before installing final pieces could add more time to your project, which of course, may be part of the fun, but be willing to accept timetable compromises when building. Space: You will need somewhere to store your half-finished campervan while you’re off the project. Cost: When budgets are managed carefully, you can definitely save money by building, but by the same token, unexpected costs – from screws to large electrical components – can quickly add up if you’re not careful.